A lead solid bullet is by far the most widely used bullet ever created. "Lead solid" simply means the bullet is completely made of lead, and isn’t hollow or filled with another metal. When most people think of a bullet, they think of a lead solid and usually a round nose, because this is the most popular style and it can be used for pretty much anything. You can hunt, defend your home or property, take care of pesky varmints, shoot cans or bottles, or shoot targets for points. Lead solid bullets are extremely versatile and can be manufactured as basically every other bullet type. Remove some lead from the tip and you’ve got a hollow point, coat it in copper and you’ve got a full metal jacket. The number-one feature of this bullet is the lead itself. This is a very malleable metal and can easily be formed into most any shape. It also bonds well with other materials, so it’s relatively easy to work with. You can coat it with most anything, and it can be shaped to hold things in the middle, expand on impact, and deform or retain its shape (when jacketed). Lead can also be combined with other metals to be softer or harder, while keeping its weight and properties. The weight is one of the main factors that makes a bullet work. Without that weight, it would lose the ability to carry and transfer energy more efficiently than virtually any other bullet material in use. The main advantage to a solid lead bullet is its versatility. This bullet type is almost a blank slate, and the improvements to technology have changed it in excellent ways over the years. It's inherently accurate because of the even weight distribution of the material during the casting process. Another advantage is the relative softness of the projectile. 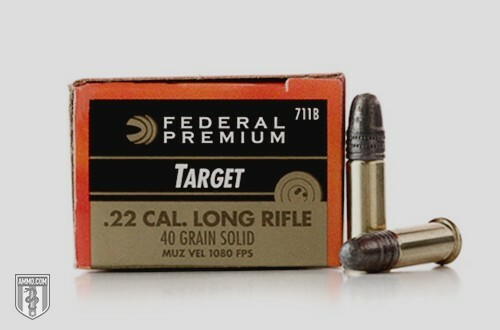 This softness keeps the bullet from splintering as it hits a target, which gives better weight retention and produces improved terminal effects. Lead solid bullets came under scrutiny awhile back due to their safety and impact on the environment. Today, some regions don’t allow exposed lead in one form or another. An indoor range may be more concerned about the lead base causing airborne lead particles, while a public forest may be more concerned about where all those lead bullets are ending up. This has led to bans and other restrictions to lead bullets of any design. Overall, the lead solid bullet has several great bullet designs that can be custom-tailored to your exact specifications. Although there are some limitations on its use, the lead solid will likely be around for years to come.